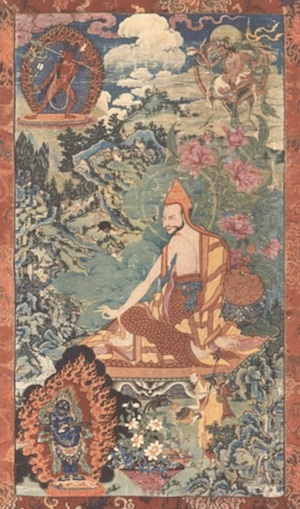 Abhayadatta (Tib. མི་འཇིགས་པ་སྦྱིན་པ་, mijikpa jinpa, Wyl. mi 'jigs pa sbyin pa) also known as Abhayakaragupta and Vajrasana  was the author of a famous work on the lives of the eighty-four mahasiddhas. This page was last edited on 4 February 2018, at 20:53.